Creating a rustic feel for your home is all the rage at the moment. This can be achieved by simply adding neutral coloured paints to walls and decorating your home with wooden look-alike elements. A great piece that you can add to the rustic feel of your home is creating a rope basket. Not only will it be add to the charm of your decor but it is a great way to customise storage and organisation. 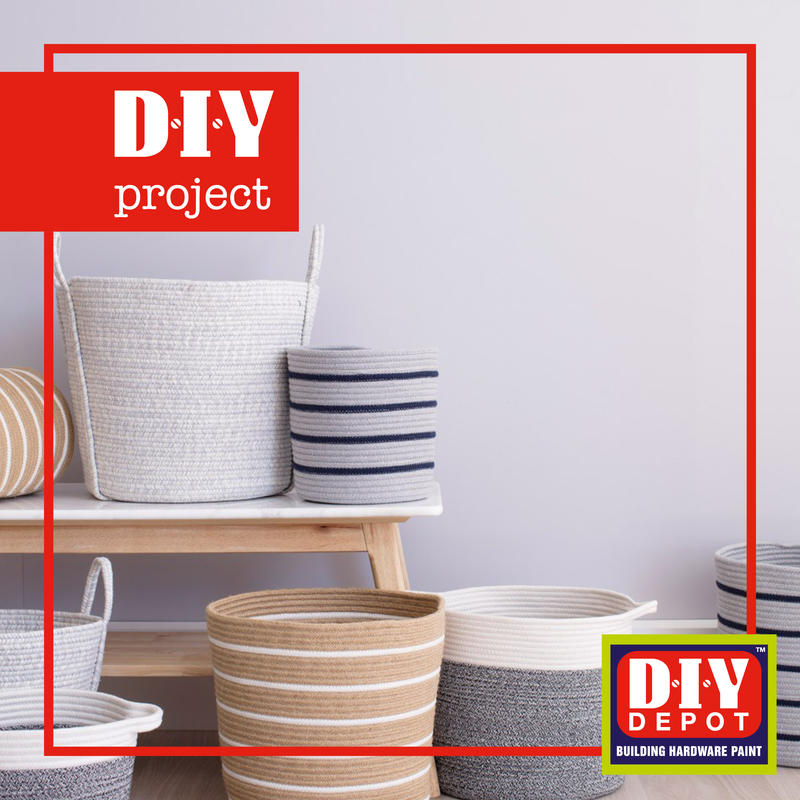 Learn how to create your own woven rope basket on a budget. Start by taking your rope and form a tight coil, this will be the base of the basket. Create your coil base to fit the base of the dustbin. Once you have created a big enough base, allow the dustbin to be placed on top. The dustbin will be used as support and will help you guide the rope evenly to form the desire shape of the basket. Carefully apply glue onto one side of the rope and a big enough piece of rope should be be placed on top of the glue, binding the rope together securely. Work your way up the dustbin until you reach the rim of the dustbin. Leave the rope to dry. Once the rope is dry, you can safely remove the dustbin. You can now create patterns onto your basket, using different colours to give it a unique touch. Tip: use the rope size as a guide to make patterns. Once the paint had dried, you can cut some leftover rope and glue them for handles to your rope basket. You can now store blankets, magazines or any other bits that you would like to organise.